Welcome and thank you to our guest author, Roger Jin, Senior Software Engineer at ButterCMS. Serverless application architectures are gaining in popularity and it’s no mystery why. Developers are able to build and iterate on products faster when they have less infrastructure to maintain and don’t need to worry about server maintenance, outages, and scaling bottlenecks. In this tutorial we are going to show you how to build a serverless, SEO-friendly, CMS-powered blog using React, ButterCMS, and Netlify. The finished code for this tutorial is available on GitHub. ButterCMS is a proprietary API-based CMS and content API that lets you build CMS-powered apps using any programming language. Butter lets you manage content using their dashboard and integrate it into your frontend of choice with their API – you can think of Butter as similar to Netlify CMS except that your content is managed in an external API rather than stored in Git. We’ll use the Create React App starter kit. Next we’ll slide in ButterCMS to bring our blog to life. ButterCMS provides an API that lets you easily fetch blog posts, categories, tags, and authors. We’ll then update ‘BlogHome’ to fetch posts from ButterCMS and render them. Use the API token in the example below or get your own by signing into ButterCMS with GitHub. Our blog is working but our post pages don’t have properly set HTML titles or meta tags. To fix this, we’ll use React Helmet. Import the Helmet module in our BlogPost and use it in our render() method to set HTML tags that should be in the <head>. Here’s what the complete code for the component looks like. Inspect the DOM to verify that tags are getting set correctly. There are a number of ways to address this, including setting up server-side rendering and pre-rendering services like Prerender.io. But these options all require setting up and maintaining a Node.js server. Luckly, Netlify offers built-in prerendering which allows us to keep our code “serverless” while still making sure our blog is optimized for crawlers. Check your build directory to verify that the production build was created successfully. 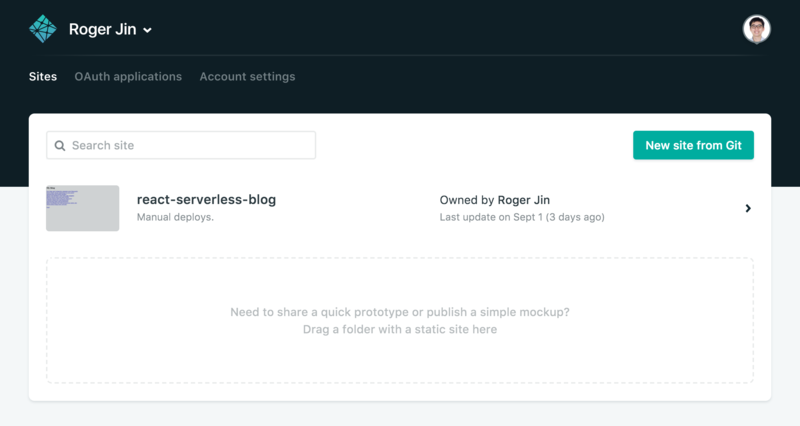 To upload your site on Netlify, drag the build folder onto Netlify’s dashboard. Prerendering can be enabled from your app settings. Remember that our app is serverless? 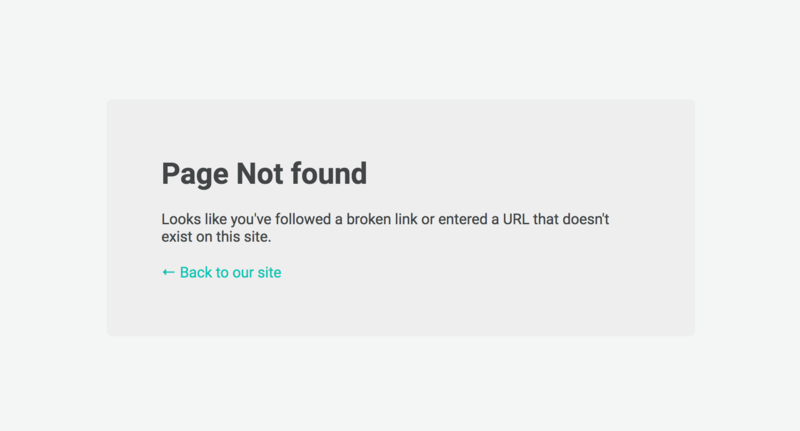 To fix the 404 error we need to create a URL rewrite rule that servers up index.html no matter what URL the browser requests. Re-upload the contents of your build directory, and all your pages should load. Check out our live example. "build": "react-scripts build && echo '/*    /index.html   200' > build/_redirects"
That’s it! We’ve built a SEO-friendly serverless blog using React, Netlify, and ButterCMS. With our serverless approach we can now get back to building software without having to ever worry about server maintenance, outages, or scaling bottlenecks. I hope you enjoyed this tutorial. If you have any questions about setting up your ButterCMS-powered React app reach out to me at roger@buttercms.com and I’ll definitely reply!